^ 1.0 1.1 1.2 Chris Landsea; Neal Dorst (ed.). G: Tropical Cyclone Climatology. Hurricane Research Division: Frequently Asked Questions. Atlantic Oceanographic and Meteorological Laboratory. 2011-06-02. 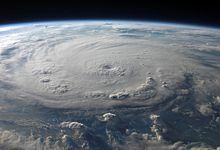 G1) When is hurricane season ? [2014-06-25]. （原始内容存档于2014-06-01）. ^ 2002 Tropical Cyclone Advisory Archive (Archive). National Hurricane Center. 2009-02-07 [2014-06-25]. （原始内容存档于2013-12-03）. ^ Glossary of NHC Terms. National Hurricane Center. 2013-03-25 [2014-06-15]. （原始内容存档于2014-06-01）. ^ NHC Hurricane Research Division. Atlantic Hurricane Best Track (1950-present). NOAA. [2014-07-03]. （原始内容存档于2013-03-03）. ^ 5.0 5.1 5.2 Jamie R. Rhome, Jack Beven, and Mark Willis. Subtropical Storm Andrea Tropical Cyclone Report (PDF). National Hurricane Center. 2007 [2014-05-23]. （原始内容存档 (PDF)于2014-03-20）. ^ 6.0 6.1 6.2 6.3 Lixion Avila. Tropical Storm Barry Tropical Cyclone Report (PDF). National Hurricane Center. 2007 [2007-06-22]. （原始内容存档 (PDF)于2014-03-30）. ^ 7.0 7.1 7.2 Richard J. Pasch. Tropical Cyclone Report: Tropical Storm Chantal (PDF). National Hurricane Center. 2007-10-18 [2014-07-04]. （原始内容存档 (PDF)于2013-06-17）. ^ 8.00 8.01 8.02 8.03 8.04 8.05 8.06 8.07 8.08 8.09 8.10 8.11 8.12 8.13 James Franklin. Tropical Cyclone Report for Hurricane Dean (PDF). National Hurricane Center. National Oceanic and Atmospheric Administration. 2008-04-07 [2014-07-04]. （原始内容存档 (PDF)于2013-10-12）. ^ 9.0 9.1 9.2 9.3 9.4 Richard D. Knabb. Tropical Cyclone Report: Tropical Storm Erin (PDF). National Hurricane Center. 2008-04-07 [2014-07-04]. （原始内容存档 (PDF)于2013-11-13）. ^ 10.00 10.01 10.02 10.03 10.04 10.05 10.06 10.07 10.08 10.09 10.10 Jack Beven. Tropical Cyclone Report: Hurricane Felix (PDF). National Hurricane Center. 2008-01-16 [2014-07-04]. （原始内容存档 (PDF)于2014-03-28）. ^ 11.0 11.1 11.2 11.3 11.4 Daniel Brown. Tropical Storm Gabrielle Tropical Cyclone Report (PDF). National Hurricane Center. 2007-10-29 [2013-10-29]. （原始内容存档 (PDF)于2013-06-17）. ^ 12.0 12.1 12.2 12.3 Michelle Mainelli. Tropical Cyclone Report: Tropical Storm Ingrid (PDF). National Hurricane Center. 2007-10-17 [2014-09-15]. （原始内容存档 (PDF)于2013-06-17）. ^ 13.0 13.1 13.2 13.3 13.4 13.5 Eric S. Blake. Tropical Cyclone Report: Hurricane Humberto (PDF). National Hurricane Center. 2007-11-28 [2014-07-04]. （原始内容存档 (PDF)于2014-01-06）. ^ 14.0 14.1 14.2 14.3 Jamie Rhome. Tropical Depression Ten Tropical Cyclone Report (PDF). National Hurricane Center. 2007 [2014-05-25]. （原始内容存档 (PDF)于2013-10-29）. ^ 15.0 15.1 15.2 15.3 15.4 Lixion A. Avila. Tropical Cyclone Report: Tropical Storm Jerry (PDF). National Hurricane Center. 2007-10-24 [2014-07-04]. （原始内容存档 (PDF)于2013-06-17）. ^ 16.0 16.1 16.2 16.3 16.4 16.5 Richard J. Pasch. Tropical Cyclone Report: Hurricane Karen (PDF). National Hurricane Center. 2007-11-27 [2014-07-04]. （原始内容存档 (PDF)于2013-10-29）. ^ 17.0 17.1 17.2 17.3 17.4 17.5 James L. Franklin. Tropical Cyclone Report: Hurricane Lorenzo (PDF). National Hurricane Center. 2007-10-18 [2014-07-04]. （原始内容存档 (PDF)于2013-06-17）. ^ 18.0 18.1 18.2 18.3 Richard D. Knabb. Tropical Cyclone Report: Tropical Storm Melissa (PDF). National Hurricane Center. 2007-10-13 [2014-07-04]. （原始内容存档 (PDF)于2013-10-29）. ^ 19.0 19.1 Jack Beven. Tropical Cyclone Report: Tropical Depression Fifteen (PDF). National Hurricane Center. 2007-11-22 [2014-07-04]. （原始内容存档 (PDF)于2012-10-20）. ^ 20.0 20.1 20.2 20.3 20.4 20.5 20.6 20.7 Daniel P. Brown. Tropical Cyclone Report: Hurricane Noel (PDF). National Hurricane Center. 2007-12-17 [2014-07-04]. （原始内容存档 (PDF)于2013-06-17）. ^ 21.0 21.1 21.2 21.3 21.4 21.5 Michelle Mainelli. Tropical Cyclone Report: Tropical Storm Olga (PDF). National Hurricane Center. 2008-01-24 [2014-07-04]. （原始内容存档 (PDF)于2014-03-30）.